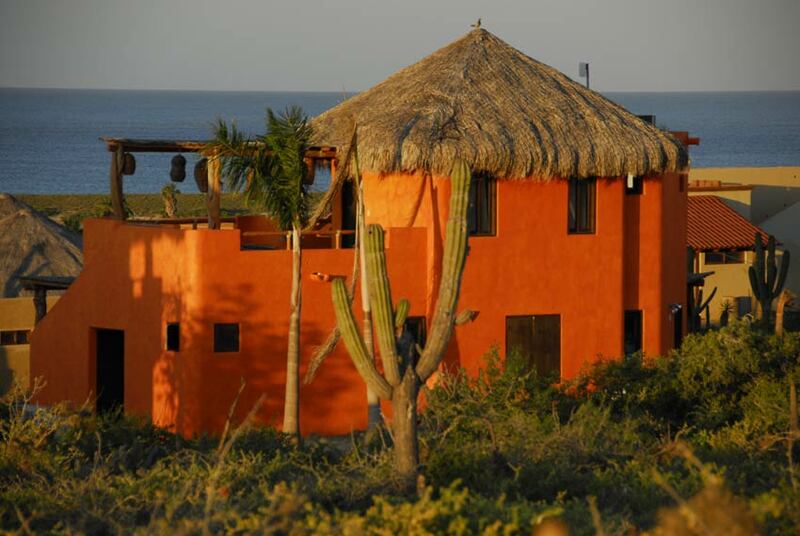 Tasteful in every detail and appointed with modern amenities (e.g., high speed internet), CalyCanto Casitas presents you with the opportunity to rent one of three lavishly furnished villas located on five gently sloping acres of desert terrain, 700 yards above the Pacific Ocean. 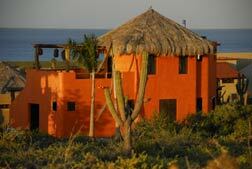 The property is 2.5 miles from the town of Todos Santos, offering magnificent ocean views and generous terraces. 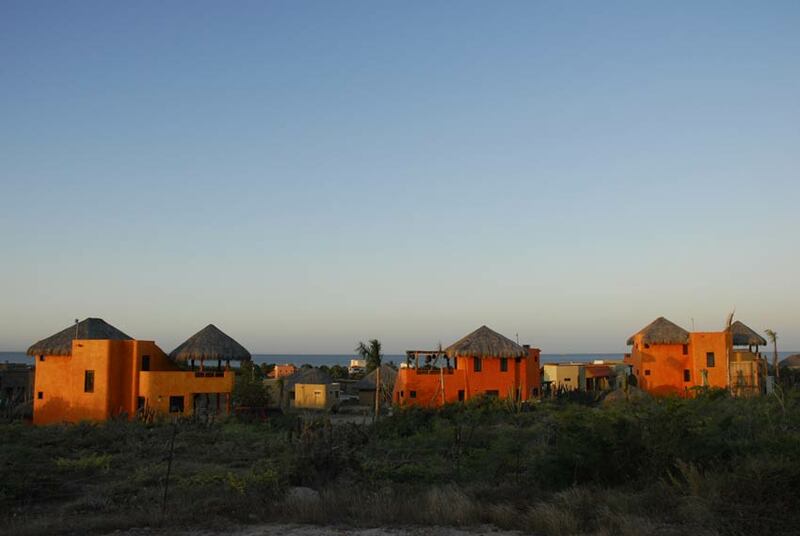 Embodying the architectural heritage of Mexico, rustic design seamlessly blends with modern conveniences to stimulate the senses. 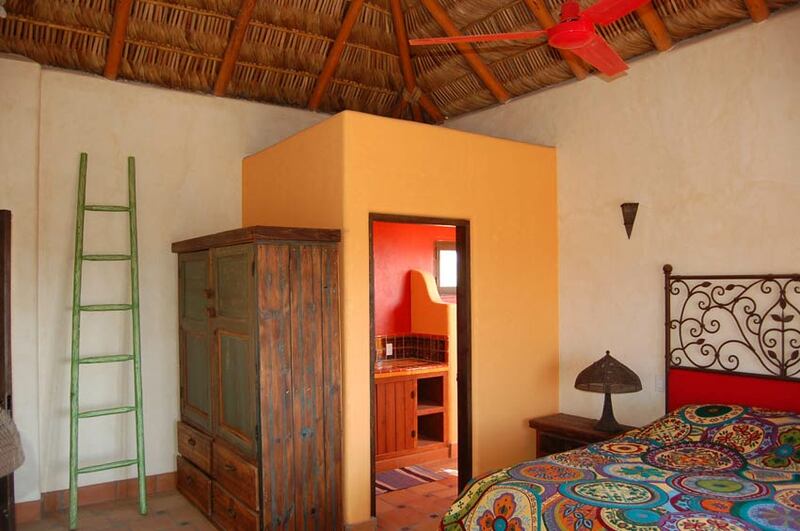 Expansive and richly appointed, each casita offers an indoor-outdoor flow, with colorfully painted designs and finishes, decorative wrought-iron, and antique mesquite furniture painstakingly handcrafted by Mexican artisans. Walk barefoot in a custom kitchen across the Saltillo floors. Enjoy breakfast on colorfully hand painted Talavera tiles. 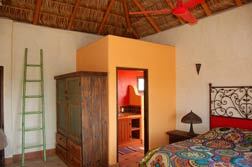 Siesta in a hand-woven hammock for two as gentle shadows from the Palapa roof drift across the room and the ocean breeze blows gently across the terrace. 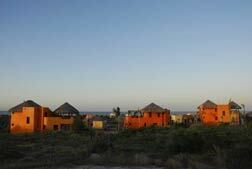 Take an outdoor shower while watching the silhouette of Royal Palms and native catcti dot the sunset. 1BR/1BA and 2BR/2BA options are available, all in a spacious, yet intimate, setting.